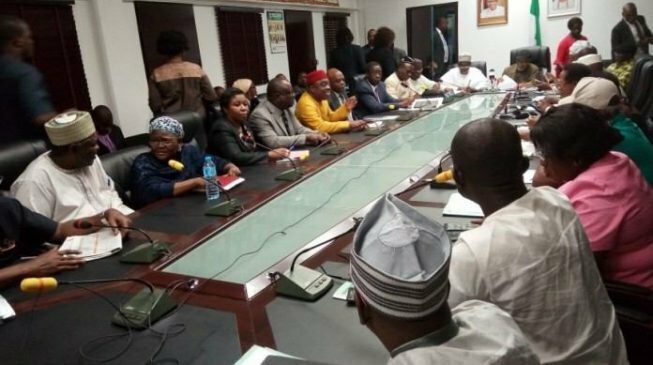 The federal government on Friday resumed talks with the leaders of the Academic Staff Union of Universities (ASUU) over the ongoing strike in public universities across the country. The lecturers embarked on an indefinite strike on November 4, demanding improved funding of universities and implementation of previous agreements with the government. But the latest report is the meeting ended in a deadlock and that the strike will continue. At least 60 people were killed following the January 28 devastating Boko Haram attack on Rann, a border town in Borno, North-east Nigeria, Amnesty International has confirmed. Following Wednesday night’s decision by Independent National Electoral Commission, INEC, barring it from fielding candidates in Zamfara,the All Progressives Congress ( APC) has said it would not only field candidates in Zamfara but also in Rivers where its fate is also a subject of litigation. National Publicity Secretary of the party, Mallam Lanre Issa-Onilu, who stated this on Thursday in Abuja also added that the appellate court decision on the trial of the suspended Chief Justice of Nigeria CJN, Justice Walter Onnoghen, has vindicated Buhari’s handling of the matter. Patience Jonathan, former First Lady and wife of former President Goodluck Jonathan, has forfeited temporarily N1 billion to the federal government. The forfeiture order by a Federal High Court sitting in Kano and presided over by Justice A. Lewis-Allagoa is consequent upon a motion ex parte filed by the Commission seeking for the interim forfeiture of the money. Nasir El-Rufai, governor of Kaduna, has described the suspended chief justice of Nigeria (CJN) Walter Onnoghen as a “shameless judge” who has demonstrated that he is no longer fit to continue in office. He said this when hundreds of supporters of President Buhari marched to the government house, Kaduna, on Friday in solidarity with Buhari.